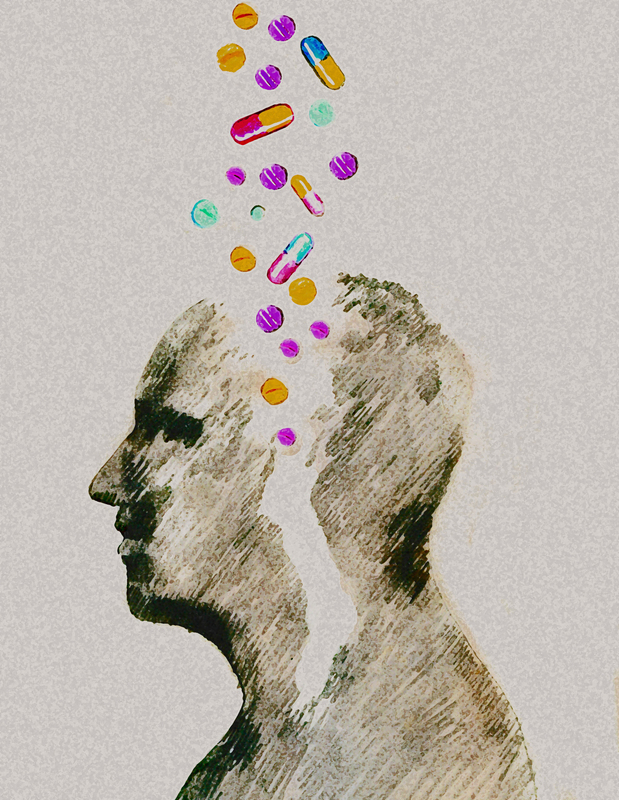 Are Modafinil's Brain-Boosting Benefits Hype Or Science? : Shots - Health News Modafinil has been approved for treatment of narcolepsy, but it's often used to improve mental performance. The question is, does it work? A new study says probably not. Nobody gets enough sleep these days and everyone needs to work harder. Sometimes coffee just doesn't seem like it's enough. Thus the temptation to apply pharmacology to thinking smarter, faster and longer. One option is modafinil, a prescription drug approved by the Food and Drug Administration to treat narcolepsy. "I feel like a well-oiled machine 5 days a week on 5 hrs a night," one poster who uses modafinil writes on Reddit. But there's no conclusive evidence that modafinil actually makes people think better. The problem is, says Ahmed Mohamed, a psychologist at the University of Nottingham's campus in Malaysia, that "we don't really know how this drug is acting on the brain." In a small study published in the current issue of PLOS ONE, Mohammed found that rather than boosting cognition, the modafinil actually seemed to slow volunteers down. While some small studies in rats and people have suggested that modafinil may improve memory, attention span or other aspects of cognition, other research has found no such link. One intriguing 2005 study suggested that it doesn't help people whose IQ is already high or even average. The Food and Drug Administration first approved modafinil (brand name Provigil) for excessive sleepiness due to narcolepsy back in 1998. Since then, doctors increasingly have prescribed the drug off-label for everything from multiple sclerosis to depression. For his study, Mohamed gathered 64 young, healthy volunteers and had half of them take modafinil, while the others took a placebo pill. He then had all the participants complete reading and sentence completion tests. The two groups completed the tests equally well — but people in the group that got modafinil took slightly longer to respond to the questions. "Basically, this suggests that the drug might slow you down without making you smarter," Mohamed says. The results, though preliminary, make sense, considering that modafinil is designed to promote wakefulness, says Dr. Larissa Mooney, an associate professor of psychiatry at UCLA. "It makes sense that people would feel more alert while taking it," she says. "But that doesn't necessarily mean that they're performing better." It's unclear how many people use modafinil and other psychostimulant drugs like Adderall and Ritalin as a brain booster, though some public health officials and drug researchers say they are concerned. Psychiatric patients are asking about the drug more often these days, Mooney says. "And we are getting an increase in requests for prescriptions to enhance performance." She says she wouldn't recommend modafinil for that purpose, especially for young people, considering that researchers still aren't sure how it might affect brains that are still developing. Side effects may also be a concern. In 2006, an FDA advisory committee recommended the agency not approve modafinil as a treatment for children with ADHD because it seemed to have caused a potentially fatal reaction called Stevens-Johnson syndrome in some patients. "It's important to clarify that Provigil is indicated to improve wakefulness in adult patients," says Doris Saltkill, a spokesperson for Teva Pharmaceuticals, which manufactures modafinil under the brand name Provigil. The company doesn't recommend the drug for any other purpose, she says. Given that there's no conclusive evidence that modafinil does anything to boost brain power, Mooney says, "Why not just have a cup of coffee?"